Emergencies happen all the time: a child chokes on his dinner, your home has a gas leak, mom misses her flight and will not be home to care for kids, your nanny has an allergic reaction to a bee sting, or your toddler has a bad fall at the playground. Accidents can happen to the most careful and qualified caregiver, so it is important to be prepared with a plan and potentially life-saving information. Below are some tips to help you put a plan and important documents in place. No one wants to imagine their child in the position of needing urgent medical assistance, but it can happen to any family. If you get news of a medical emergency, you’ll head home or to the hospital as soon as you can, but, in the interim, your nanny must act as your surrogate. Arming your nanny with your child’s medical history and the information below will ensure that they are prepared to act on your behalf until you arrive on the scene. Who your should nanny call in case of an emergency if you cannot be reached or if you, yourself, have an emergency or accident. Who the nanny is authorized to release your children to. This can be a neighbor, close friend, or relative. You should know the basics of your nanny’s personal life before hiring them, but you may not ever meet their partner, or children, or know their friends’ phone numbers. In addition, your nanny may not have disclosed that he or she has diabetes, is allergic to shellfish or has high blood pressure. 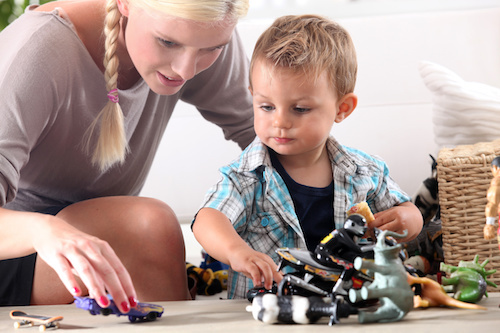 Asking if there is anything you should know and if there is a contingency plan, should an emergency arise, could help your nanny AND your child. Who should you call in case your nanny is sick, hurt or involved in an accident? Does your nanny have any pre-existing health issues, medications or allergies that emergency personnel should be aware of? Where the nanny should take the children. Should the nanny come to your office with the children? Take them to a neighbors’ home? The children’s section at the local library? A local park? The nanny’s home? How to contact you. If there is a local emergency and cell towers are overwhelmed or shut down, let your nanny know that text or email messages will often still work for communication. However, should all phone service be cut off, have a plan in place so that you know where to find them. Your toddler may have a good handle on eating but what happens if he shoves too much food in his mouth or a grape goes down the wrong way? Will your nanny know what to do if he is choking? While calling 9-1-1 for medical professionals is advisable, it is imperative to help a child who is unable to breath as soon as possible. Ensure that your nanny has up-to-date training in the basics of CPR and first aid for common medical emergencies. Download an app on your nanny’s phone with quick and simple instructions for practicing and administering CPR http://www.pocketcpr.com. Provide a first aid kit with basic medical supplies for common injuries. Having a plan for these unfortunate, yet commonplace, emergencies can assist in ensuring that a stressful situation has a positive outcome. Be sure to place this information in accessible locations such as on your refrigerator, in the diaper bag/stroller or in the glove compartment of your car.